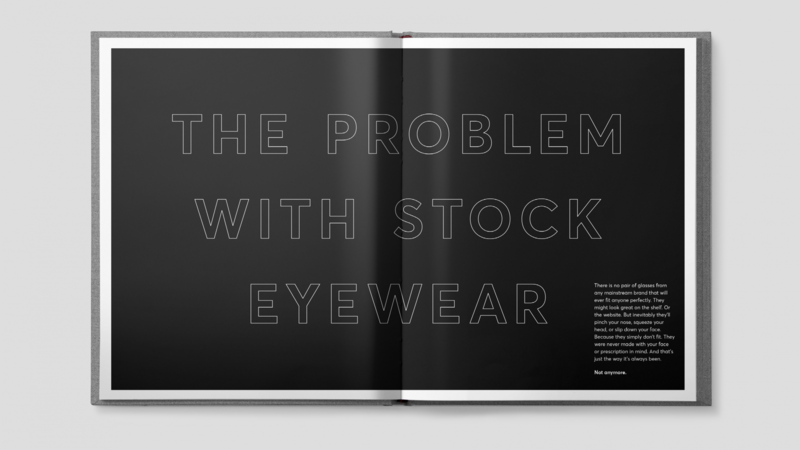 For years, prescription wearers have suffered at the hands of BIG GLASSES and stock eyewear made to fit generic facial features. 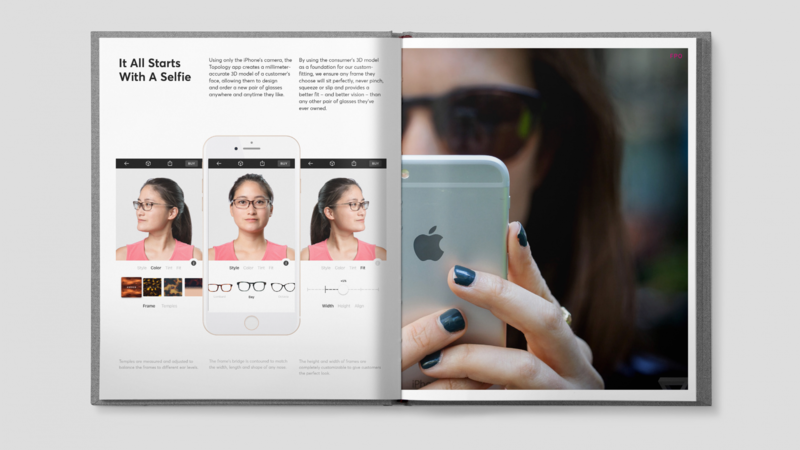 San Francisco startup Topology Eyewear is working to solve that by developing affordable custom fitted frames, 3D mapped to your face with an iPhone camera. 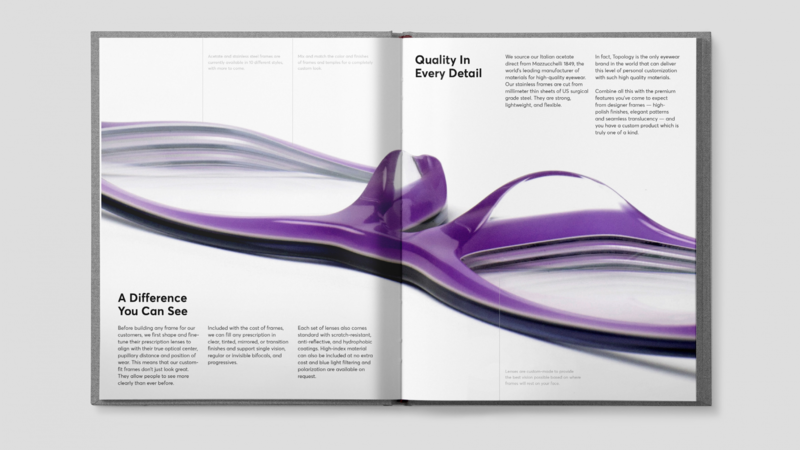 The technology is pretty mind-blowing. So are the results. 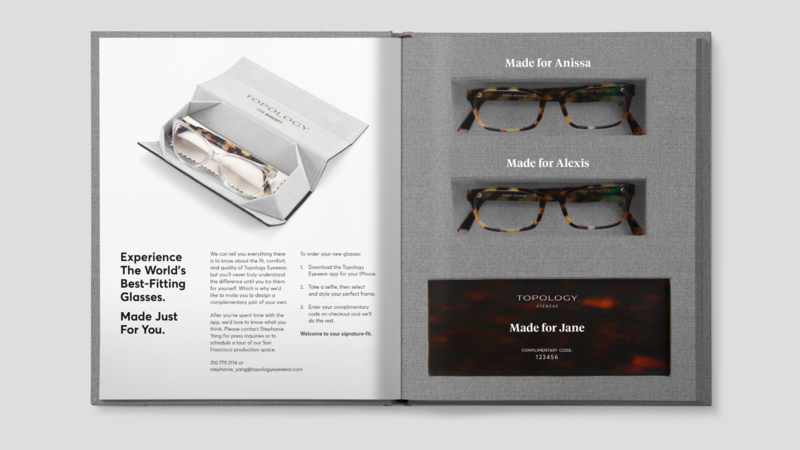 While still in early rounds of funding, the team at Topology needed something just as custom as their eyewear to share with press and potential investors. 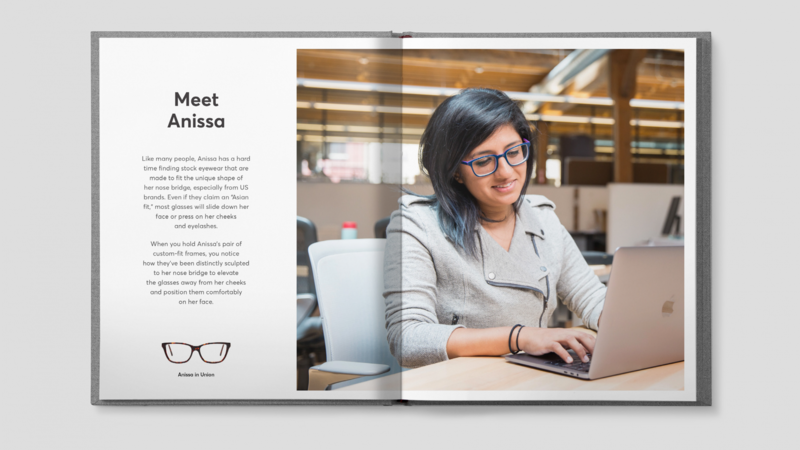 The press book was designed with accents that could be personalized for each recipient and tells the story of the brand and tech behind every custom-made frame. 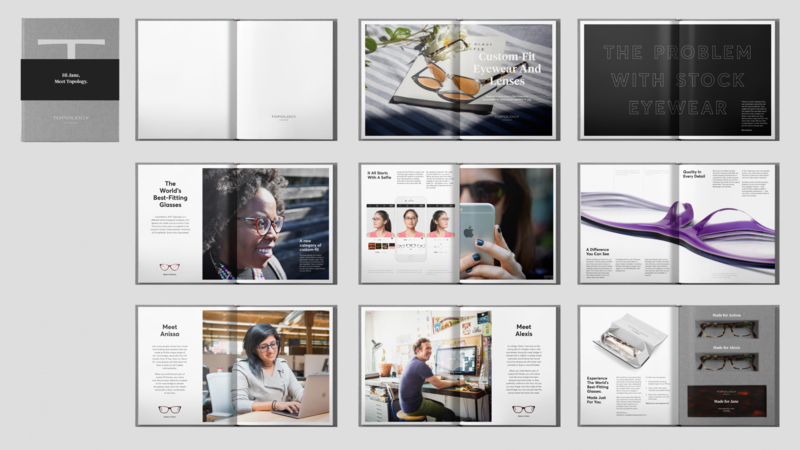 The book also features a false back with frame samples and a sheet of acetate that could be redeemed for a free pair of glasses.